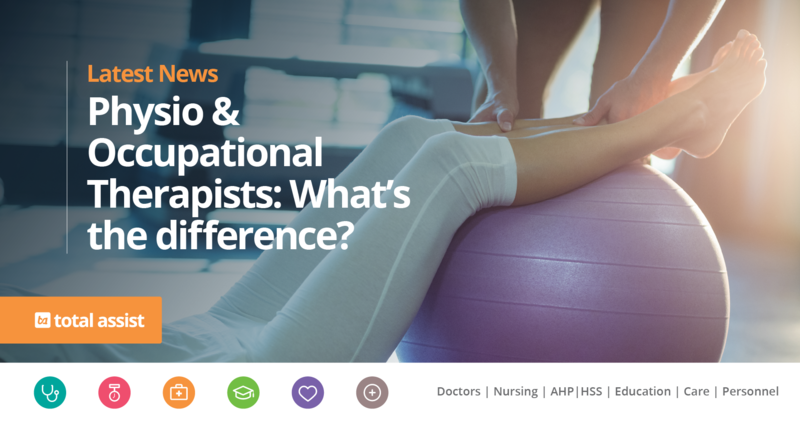 Physio & Occupational Therapists: What’s the Difference? 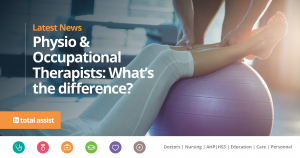 There is often confusion when it comes to differentiating Physio from Occupational Therapy with many believing the two are one in the same thing. Whilst these two professions do; at times, crossover, there are many key differences between them. Treating individuals with physical problems which may have been caused by illness, injury, disability or ageing will be key to the daily role of both types of therapist. Other responsibilities include promoting and expressing the importance of human movement, good health and advising people on how to prevent and avoid injuries. Whilst Physiotherapists aim to relieve any pain and discomfort during the healing process, Occupational Therapists, however also aim to educate their patients on how to cope with their symptoms on a daily basis either at work or at home. They can also be found outside the NHS in private hospitals, clinics, sports clubs and gyms. As well as working in hospitals, clinics and GP practices, Occupational Therapists can also work in voluntary organisations, prisons, social services, special needs schools and private practices. The duties of both Physio and Occupational Therapists are vital roles in the public and private healthcare sectors. Whilst similar in many ways, they both play a uniquely important part in the recovery, rehabilitation and education of those in need. If you would like to know more about Physio and Occupational Therapy, you can visit our AHP|HSS website (www.totalassist.co.uk/ahp-hss) or call 01708 388 055. Total Assist supply Physio and Occupational Therapists to both the public and private sectors across the UK. To gain access to the latest therapy jobs, register today and our friendly AHP team will do the rest: www.totalassist.co.uk/registration. If you or any of your friends work in the medial, healthcare, education or personnel sectors, you can receive up to £200 for every friend you recommend to Total Assist. (terms and conditions apply). visit: www.totalassist.co.uk/recommend-a-friend to starting referring.